Pim Stumpel, World Class Optimist coach, shares his wide knowledge about Optimist sailing. In more then 60 minutes of videos you learn all the ins- & outs about tacking, gybing, starting and all other sailing techniques. The instruction videos are made using the newest technologies like drones, on-board cameras & on-screen animations to get the best angles and shots! After your payment you will receive a personal SportVid online account. This account contains the exclusive DinghyCoach footage available from every location on every device. DinghyCoach updates the online stored videos in case new techniques are discovered or developed. Never out-dated and always available! 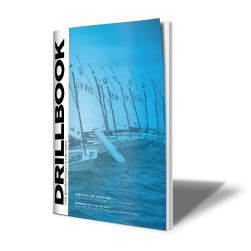 A groundbraking must-have for every Optimist family, sailor and coach.